Preventing Those First Cavities | Eastern Long Island, NY | Joseph F. Sciotto D.M.D. The best way to care for your baby’s new teeth is by being proactive – both with their daily hygiene and through routine dental examinations. The staff at Joseph F. Sciotto D.M.D. cares about your child’s teeth as much as you do, and we want to help them maintain healthy teeth and gums to last a lifetime. So please feel free to call us at Joseph F. Sciotto D.M.D. 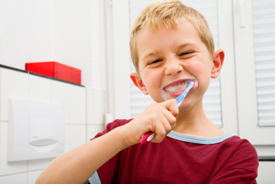 with any questions you might have, or to set up an appointment for your child’s dental examination. We’re here waiting for you!